Jeff was saved and baptized as a young man under the ministry of Memorial Missionary Baptist Church of Freemont, CA. In 1982 he and his family moved to Pine Bluff, Arkansas. While faithfully attending Whiteville Missionary Baptist Church; in August of 1991, Jeff answered God’s calling to give himself to His service and by His enabling grace and guidance to pastor His churches as he is led. He immediately enrolled in the Missionary Baptist Seminary in Little Rock, Arkansas, where he graduated with both a Bachelor’s and a Master’s of Bible Languages degree. The Lord has blessed him with the opportunity to pastor: Enon M.B.C of Rison, AR, Fairplay M.B.C. of Benton, AR, Bradley Road M.B.C. of Colorado Springs, CO, Magnolia Springs M.B.C. of Theodore, AL. and currently Faith M.B.C. of Arkadelphia, AR. In addition to pastoring at Faith, he is also a committeemen of the Baptist Sunday School Committee charged with the writing and publication of Christian literature for the A.B.A. He has been married only once, and continues to be married to one of God’s most precious gifts to men, a wife. Paula and he were married in 1985 in Pine Bluff, AR. She has been very supportive and faithful to the vows they made to each other, and to God. They have two children, Christy and Amber. They also have two grandchildren who have totally captured their hearts, Kaylor and Bryant. Neither Paula nor Jeff knew how deeply they could love someone until they looked into the eyes of their grandchildren. They were immediately hooked and knew that their lives would never be the same again. Bryan serves as the Music Minister at Faith. He leads song services and conducts seasonal Cantatas. Faith is blessed to have not only his talents, but his wife's, Janet's, talents as well. She serves as the church pianist. Bryan is also a member of the Little Rock Wind Symphony. He has a Bachelor's degree in Music, and is a Band Director in Little Rock. Jennifer has served the Family of Faith as Church secretary since 2005. She takes care of the needs of the office, and supports the ministry staff of the church and mission. 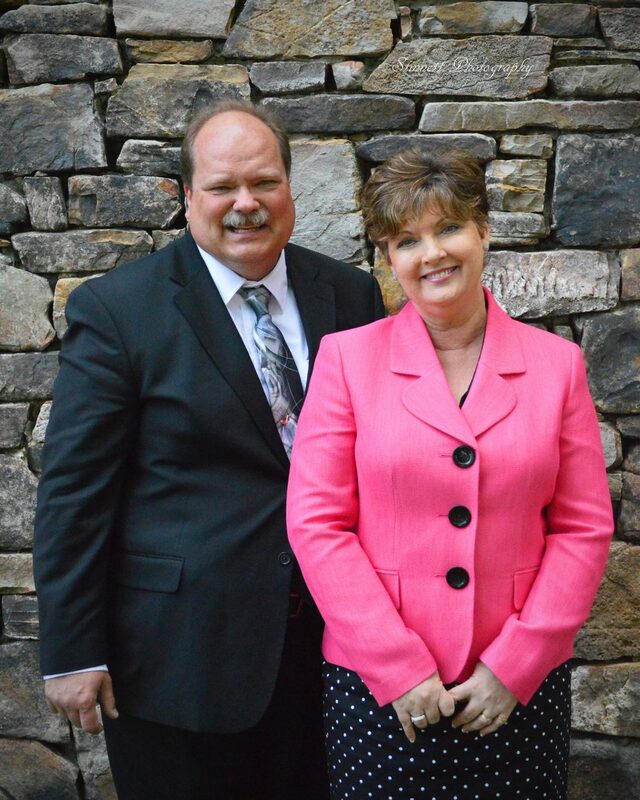 Jennifer has lived in Arkadelphia since 1995, and is pictured with her husband, Paul.